Are you interested in seeing a movie that’s set in a virtual reality world and combines literally dozens of your favorite pop culture things together? That’s what happens in Steven Spielberg’s latest, Ready Player One — but pop culture references aren’t even remotely what the story is about. No, it’s about saving the world, obviously. Or, better yet, as the new trailer shows us, saving the virtual reality world. 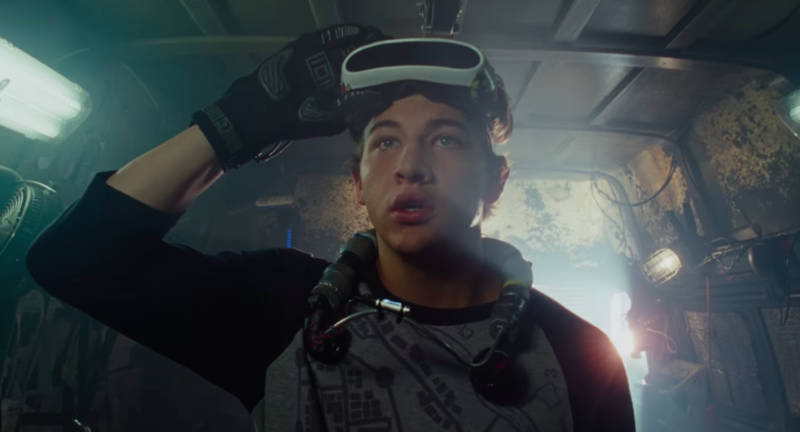 The movie, based on the book by the same name, follows Wade Watts (played by Tye Sheridan) who — along with everyone else in the year 2045 — spends their time in the Oasis, a vast and sprawling virtual reality world. You can be anyone in it, and do anything, which makes it lots of fun and also deadly. After the creator of Oasis dies, he sends a message out saying that there’s one hidden Easter egg inside of the system, and whoever finds it gets control of Oasis, and also a stupid amount of money. Wade, who lost both his parents and has been living in a stack of trailer parks, is determined to find the Easter egg before the evil corporation working against him does. These stories alway shave shady, evil corporations. But just what exactly makes Ready Player One so vastly different from anything else? Because it is going to seamlessly mash all sorts of different worlds — both video games, and not — together into one heart-pounding movie, and is that…is that the Iron Giant? The trailer also ends with some Back to the Future music, and this will all make sense once you see the movie, promise. Prepare to hook into the Oasis yourself, because the movie hits theaters on March 20th, 2018.